Get limited edition posters from artists including Jeremy Deller and David Shrigley at Tube Stations next weekRelease your inner child… A ball pit bar and candy theme cocktails are coming to LondonHawksmoor introduce new £5 cocktail menu… and steak slices! If you’ve been following our blog for a while now, you’ll know how much we love pizza… and pies! And there’s nothing better than traditional homemade pastry made in Dorset, crispy pizzas with warming menu options and seasonal treats. The Stable is a chain of restaurants growing at a rapid pace with a new venue just opened in Bournemouth. 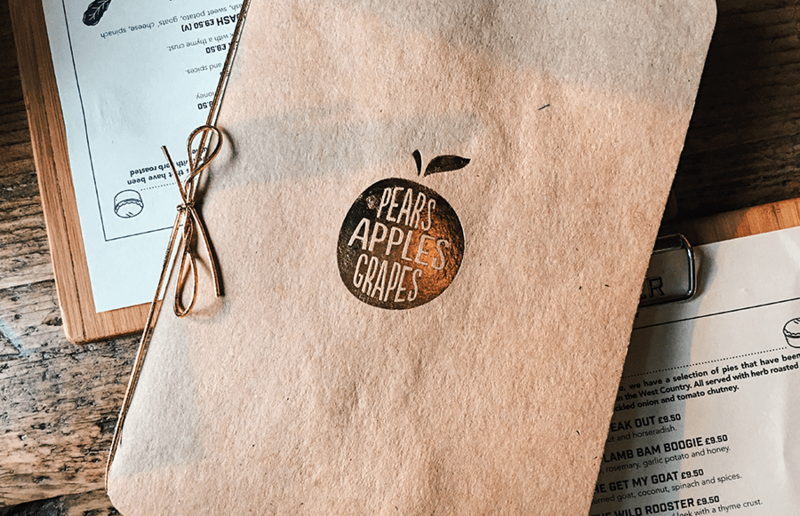 Focusing on offering the widest selection of Cider we’re ever seen, and tasty food it’s an ethos we can live by. Visiting their new restaurant in Bournemouth, the laid back style, and exposed wooden style of the venue really rings through. With hand painted wall artwork on the walls, large wooden oak benches and candles it’s a perfect date spot, or lunch venue all in one. Transforming the tourist information centre, the new venue looks out to the Pavilion Gardens, a scenic view, with the first floor giving you a sea view. 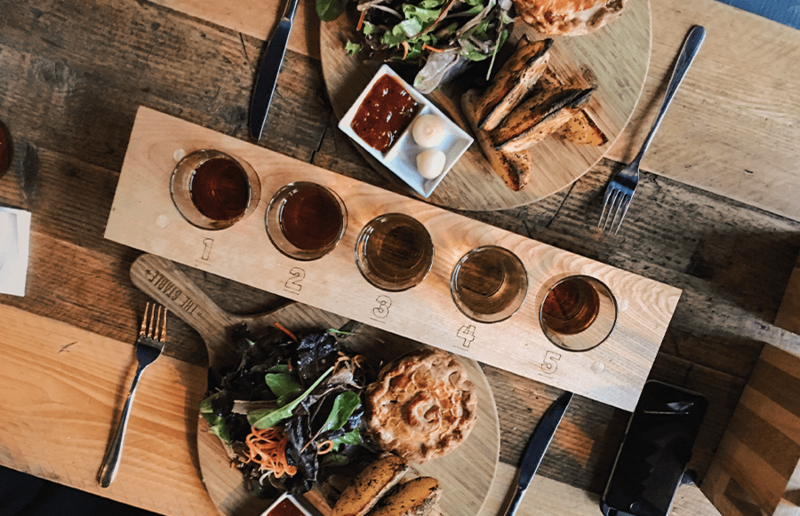 We opted to try out their Cider tasting board, which gives you the opportunity to sample five different types of Cider, trending currently in store, with 5 1/3 pint glasses. 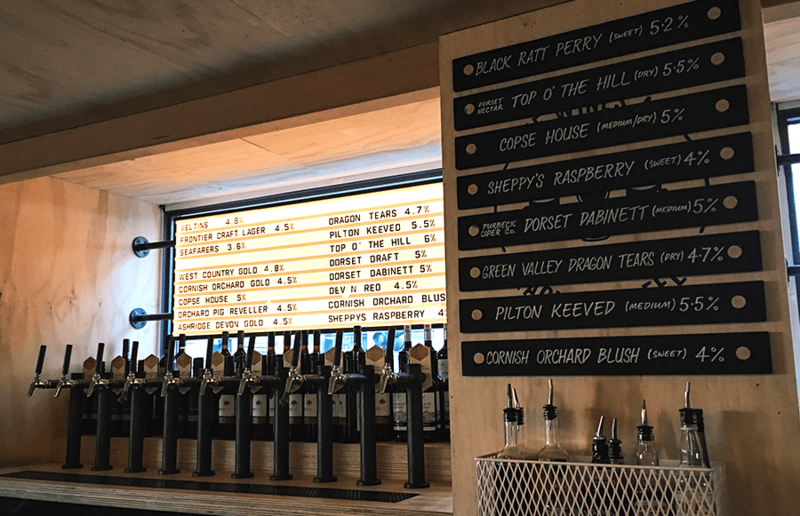 From flat traditional flavours, to fizzy berry infused styles, there’s something for everyone – and it’s a great opportunity to try some new styles you’d never want to order a whole pint of. Obviously the next thing to talk about is the food. We could not ignore the smell wafting through the venue of freshly baked pastry with traditional flavours. Opting for ‘The Get My Goat’ pie, which consists of curried goat, coconut, spinach and spices and ‘The Wild Rooster’ a chicken, gammon and leek with a thyme crust, both for £9.50, we tried two really different flavours – both coming with a large salad, and herb roasted potato wedge slices, which were the size of a small jacket potato. If that wasn’t enough, you also get two small pickled onions and tomato chutney on the side. The portions were more then ample and value for money, with a gorgeous tasting pie. The curry goat was perfectly soft, spiced well and filled with meat. Whilst the creamy chicken and gammon’s thyme crust really came through as you cut into the pie. Having the selection of ciders to drink alongside the meal was greatly welcomed too, helping you choose your favourites and what went best with the flavours. 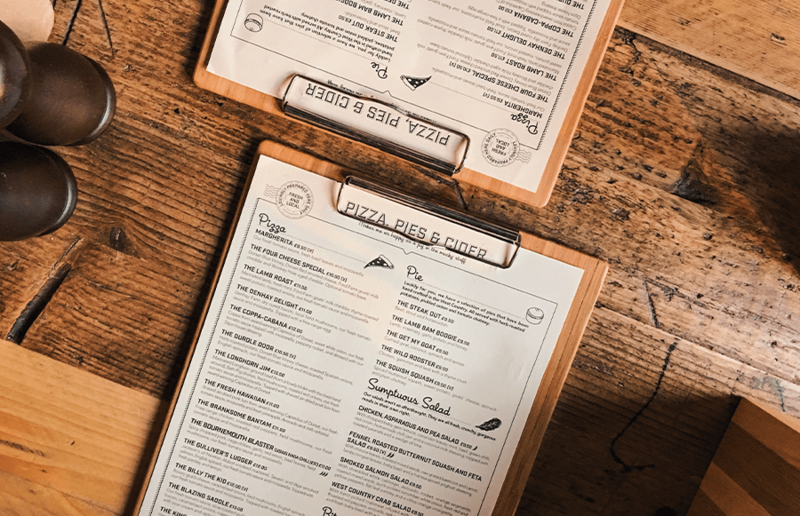 We’ll most definitely be back soon to try out their pizza’s and their new festive menu in time for Christmas, too. The Turkey Gobbler Christmas Special pizza certainly looks worth a look in. Visit The Stable across the UK including locations in Kew Gardens and Whitechapel in London, with their Christmas offer now on.